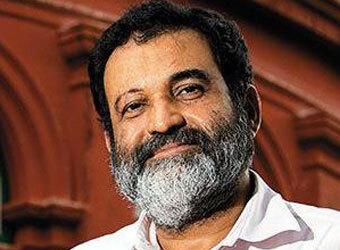 TV Mohandas Pai, chairman of Manipal Global Education and former CFO and HR head of Infosys, has invested an undisclosed amount in Singapore-based drone technology startup SwarmX Pte. Ltd, according to a spokesperson of 3One4 Capital Partners, Pai’s family office. It could not be immediately ascertained if other investors too participated. SwarmX’s offering SwarmX Hive allows users to operate drones with minimal training. With HiveMind OS, users can manage a fleet of drones from a single interface. The startup was founded by Pulkit Jaiswal in August 2015. Jaiswal is a graduate of Stanford University and had earlier co-founded Garuda Robotics. In a similar space, Chennai-based startup Airwood Aerostructures Pvt. Ltd had raised an undisclosed amount in seed funding from StartupXseed Ventures LLP in May this year. Airwood’s patent-pending drones are retrofitted with multispectral cameras and can fly around plantations capturing real-time data on weather, water availability and crops. Other startups in the drones space include Edall Systems, Ideaforge and AirPix. Drones had found a mention in India's rail budget this year. In his rail budget speech, Railway Minister Suresh Prabhu said the government wants to use latest drones and leverage geospatial-based satellite technology for remotely reviewing progress of major projects. In an attempt to facilitate the civilian use of unmanned aerial vehicles (UAVs), the government is also expected to start fresh consultations to evolve a UAV policy. Pai has become one of the most prolific angel investors in the country. He recently backed VelvetCase and Darwinbox.